Once again, it’s time to put another NASCAR couple on the hot seat. First, it was Kyle and Samantha Busch. Now, it’s Denny Hamlin and longtime girlfriend (and former Charlotte Bobcats cheerleader) Jordan Fish. Where was their first date? Who’s better at Pilates? Who changes more diapers? 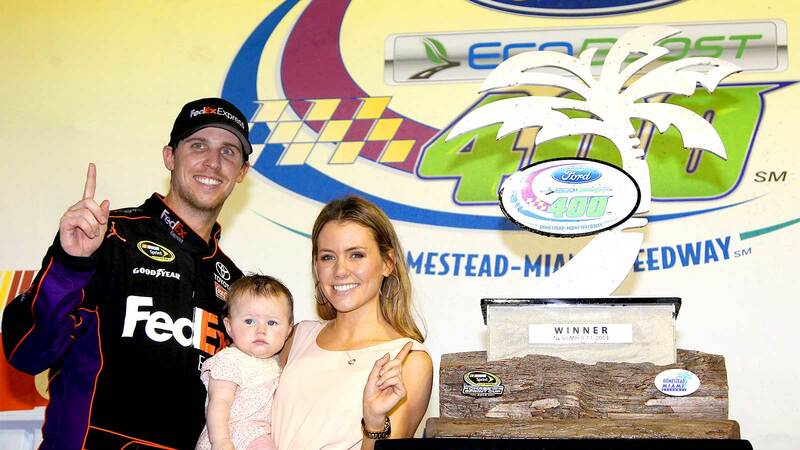 Hamlin faces these questions and more on "The NASCAR Dating Game".